GOP Sen. Ben Sasse Vs Sean Hannity, Round 2 - Joe.My.God. Sen. Ben Sasse (R-Neb.) fired back at Sean Hannity on Thursday after the Fox News host said he regretted supporting the senator, who has become a vocal critic of President Trump. “Sorry, Sean — you changed, not me. 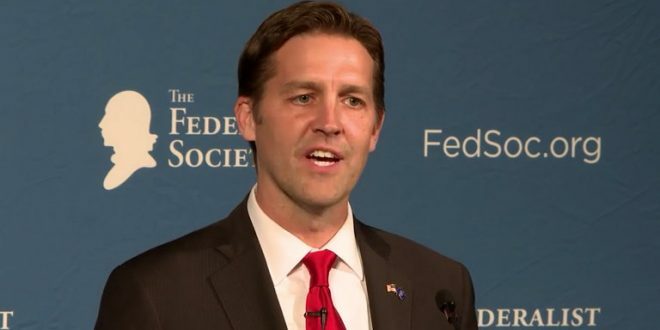 Some of us still believe in the Constitution,” Sasse tweeted. Hannity criticized Sasse after the latter suggested Trump was in conflict with the First Amendment when he said this week that it is “disgusting the press is able to write whatever it wants to write.” “No president should play with censoring news they dislike,” Sasse tweeted.